Elbow Protectors. 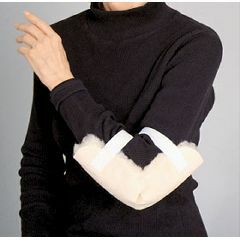 Effective protection against friction burns and pressure sores on sensitive elbows. Soft, synthetic sheepskin flexes naturally. Straps hold pad securely in place. Launderable.